The Chinese machinery maker’s $3.3 bln approach to rival Terex defies financial logic, but could make political sense. Beijing makes no secret of its desire to build global brands. Giving Zoomlion the green light suggests it has official backing to be one of China’s flagbearers. 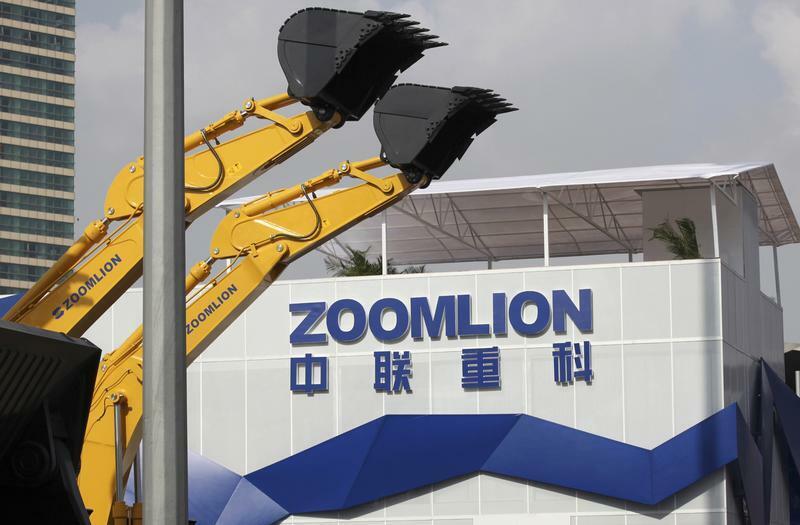 A Zoomlion company logo is seen next to its excavators at an exhibition in Shanghai, November 29, 2012. U.S. heavy machinery maker Terex said on Jan. 26 it had received an unsolicited bid from Chinese competitor Zoomlion Heavy Industry Science and Technology worth $30 a share, valuing it at $3.26 billion. The proposed bid values Terex at a 100 percent premium to its closing share price on Jan. 25, and is worth significantly more than a planned all-share merger with Finnish competitor Konecranes. Zoomlion on Jan. 28 confirmed it had approached Terex but said it had not signed any binding agreement and could not confirm whether the deal would go ahead. Terex announced its tie-up with Finnish rival Konecranes in August. The two agreed an all-share merger which would allow the U.S. firm to move its headquarters to Finland, thus reducing its U.S. tax burden. Terex makes cranes and equipment for miners and construction companies, which Konecranes is more focused on cranes for factories and shipyards. Terex shares closed at $22.85 on Jan. 26. By lunchtime on Jan. 28, Zoomlion’s Hong Kong-listed shares were trading down 3 percent at HK$2.09.